The bunkers left and right of the fairway await any poorly directed drives – as do a variety of trees for shots further offline. 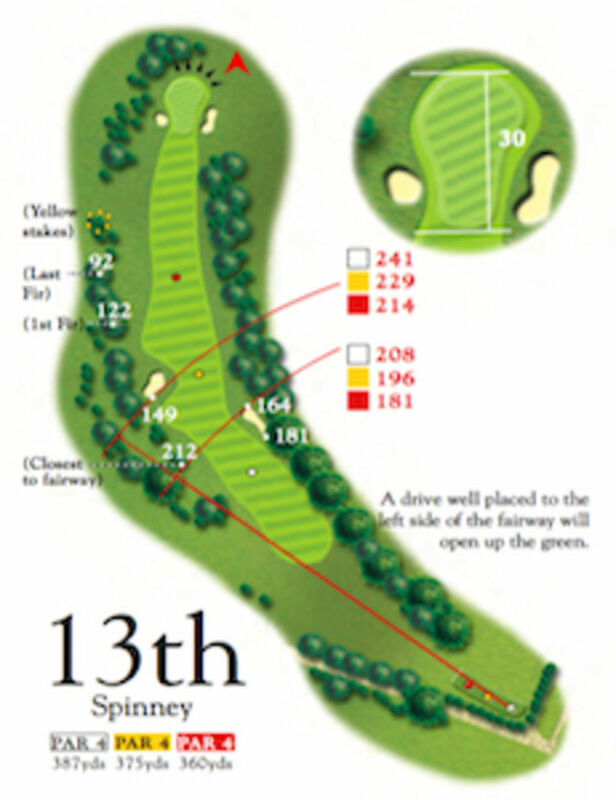 Longer hitters may fancy trying to ‘cut the corner’ on this right dog leg hole. The green is, once again, protected by bunkers left and right. 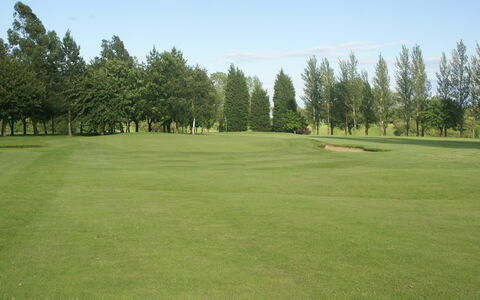 Spinney is a reference to the sizeable spinney which there used to be to the left of the fairway from the tee which was originally much larger and more dense than it is now.